Established by The Abraaj Group, a leading private equity investor, to support contemporary artists of the Middle East, North Africa and South Asia, The Abraaj Group Art Prize invested in and has given resources to artists to develop their practice by realising a unique project. The prize reflects Abraaj’s own investment philosophy, which is to take viable businesses with great potential, and create regional and global champions. The work commissioned by the Abraaj Group Art Prize reiterates Begum’s interest in the interplay between light and colour. The commission stems from a series of studies on MDF panels that focus on overlapping, transparent coloured planes which create a third layer of geometry and colour. This interaction was the starting point which led Begum to explore these concerns further and make them more concrete. These paintings become more physical through the use of transparent glass which allow the viewer to see how light, colour and form come together in an open space. Presented on a floating platform, the large-scale installation invites the viewers to experience the ever-changing reflections of the glass panels. Within this composition, time itself becomes visible as the viewers take in the movement of light throughout the day. Begum captures a combined sense of the ephemeral and transcendental. How do you elaborate forms in response to social, political or historical tumult? How do you face up to the excesses of the real, or attend to its silences? Reality is fluid; seepage is its middle name – it evades our grasp, constantly revealing new, unheeded dimensions. In a short story collection by the title Here Is Where We Meet, John Berger captures encounters with multiple cities through narrative capsules of thought, memory and emotion. Here, in Dubai, is where they meet: four artists with a strong interest in architecture, urban space, and seriality. Through repetition and variation of pattern and rhythm, each in her own way explores aesthetic modes of coaxing reality into form. There is where they meet. This exhibition consists of a series of propositions on how to stage a dialectics of excess and control – of seepage and ritual. These are attempts at musicality in a time of restraint, at reconfiguring our geometries of attention through playful engagement with literal geometry. What does life look like when you contemplate it on painted circles? What might thinking in triangles involve? John Cage once said: “Structure without life is dead. But life without structure is un-seen.” Here we consider life through shapely prisms. By integrating variations of daylight into her work, Rana Begum turns sculpture into a time-based art form. Through monumental patterning of a simple motif, she introduces a shift in scale, moving from geometry to landscape and from repetition to ritual. Doa Aly’s four-channel video installation takes inspiration both from Ovid’s “house of rumor” episode and from the chattery aftermath of the Egyptian uprisings. Strictly choreographed movements of bodies are offset by the competing layers of an intricate soundtrack. 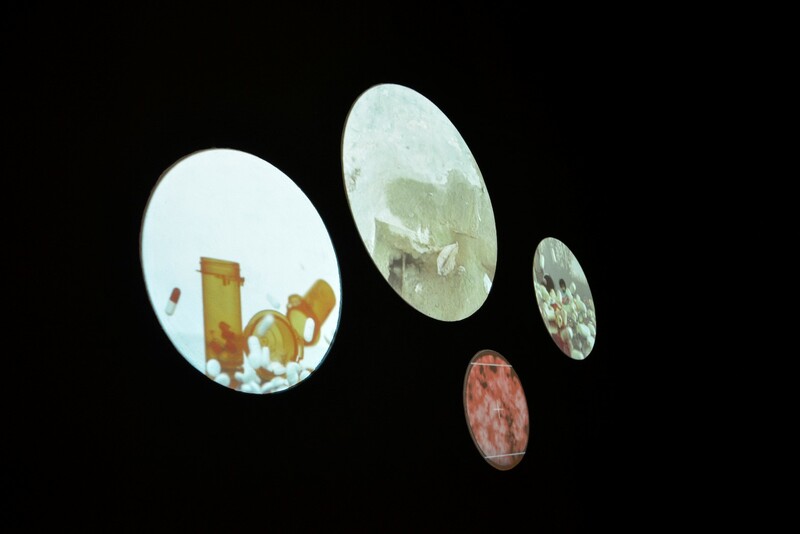 Raha Raissnia’s paintings, drawings, and film projections aspire to the temporal and experiential condition of music. They follow a logic of visual counterpoint while foregrounding dark, forbidding architectures in which occasional openings appears as small miracles. Sarah Abu Abdallah develops a very personal aesthetics of confinement through an embrace of the domestic. By virtue of endlessly observing quotidian minutiae, reality breaks into a map of separate circles enigmatically linked. 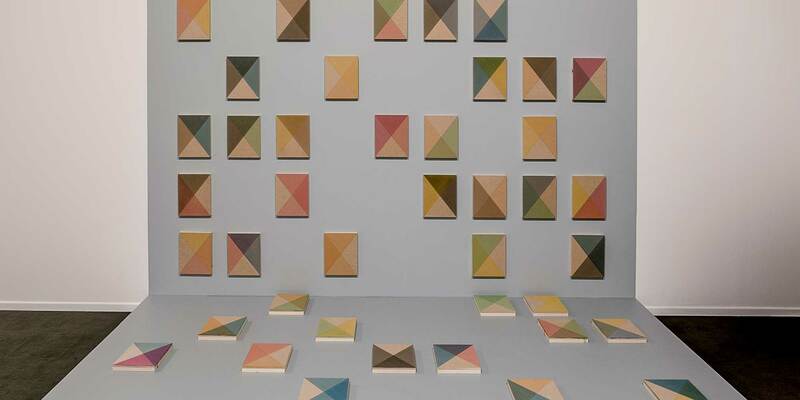 Born in Bangladesh in 1977, Rana Begum now lives and works in London. In 1999, she graduated with a BA in Fine Art from Chelsea College of Art and Design and, in 2002, gained an MFA in Painting from Slade School of Fine Art. Recent and forthcoming exhibitions include; The Space Between, Parasol Unit (2016) Into boundless space I leap, Maxwell Centre, UK (2016); 11th Gwangju Biennale, Korea (2016); Solo Show, Galerie Christian Lethert, Cologne, Germany (2016); New Visions, Tensta Konsthall, Sweden (2015); Towards an Infinite Geometry, Jhaveri Contemporary, Mumbai, India (2015); Future Light, Vienna Biennale 2015: Ideas for Change; Solo Show, Galeri Mana, Istanbul, Turkey (2014); Solo Project, Dhaka Art Summit, Dhaka, Bangladesh (2014); No.10, The Third Line, Dubai, UAE (2013); Manifold, Galerie Christian Lethert, Cologne, Germany (2013); The Folded Page, Jhaveri Contemporary, Mumbai, India (2011); New Works, Delfina Foundation, London, UK (2010); and Fractured Symmetry, Bischoff/Weiss, London, UK (2010). She has also participated in many international group exhibitions, including: New Visions, Tensta Konsthal, Stockholm, Sweden (2016); Geometries of Difference, Samuel Dorsky Museum of Art, New York, USA (2015); The Language of Human Consciousness, Athr Gallery, Jeddah, Saudi Arabia (2014); Summer Show, The Third Line, Dubai, UAE (2014); Summer Exhibition, Royal Academy of Arts, London, UK (2012) where she received the Jack Goldhill Award for Sculpture. Doa Aly was born in Cairo, Egypt in 1976. She attended the Faculty of Fine Arts in Cairo, earning a BFA in painting in 2001. Her work spanning video, drawing and performance, has been exhibited at the Delfina Foundation (London), Charim Gallery (Vienna), D-Caf Festival (Cairo), Warsaw Museum of Modern Art (Warsaw), Eva International Biennial (Limerick City), Huis Marseille Museum of Photography (Amsterdam), the New Museum (New York), Tate Modern (London), Haus Der Kunst (Munich), 7th Busan Biennial, 11th Istanbul Biennial, Stedelijk Museum (Amsterdam) and the International Center for Photography (New York). Doa Aly is represented by Gypsum Gallery, Cairo. Sarah Abu Abdallah lives and works in Qatif, Saudi Arabia. She studied art at Rhode Island School of Design earning a Masters in Digital Media, and in the College Of Art And Design at Sharjah University. She is currently an artist and puzzle maker, working with video, installation, poetry and images. Sarah has exhibited work in the Sharjah Biennial 11, Fluidity in Kunstverein in Hamburg, Co-Workers in Musée d’Art Moderne de la Ville de Paris, Do it Arabic, Prospectif Cinéma / Filter Bubble at the Centre Pompidou and Luma Foundation, Private Settings at the Warsaw Museum of Modern Art; Arab Contemporary at the Louisiana Museum of Modern Art, participated in the Serpentine Galleries Marathon, Rhizoma; a collateral event organised by Edge of Arabia at the 55th Venice Biennale, amongst others. She was the recipient of Sharjah Art Foundation’s Production Programme Grant (2016) in collaboration with Josh Bitelli for their project To Gaze at Ten Suns Shining. Sarah also executed the 89plus project “Vessel Verses” with Abdullah Al Mutairi for Art Dubai 2016. Raha Raissnia born in Tehran, Iran in the year 1968, received her BFA from the School of the Art institute of Chicago in 1992 and her MFA from Pratt Institute in 2002. In the interim, her interest in avant-garde filmmaking led her to work at Anthology Film Archives (1995– 1999), where she has also exhibited. In 2016, Raissnia’s work was the subject of a solo presentation at the Museum of Modern Art (New York). In 2015, her work was included in All the World’s Futures, 56th International Art Exhibition, curated by Okwui Enwezor, Venice Biennale. Previously, her work has been featured in exhibitions at White Columns (New York), Access Gallery (Vancouver), the Museum of Contemporary Art St. Louis, Khastoo Gallery (Los Angeles), Thomas Dane Gallery (London) and The Kitchen (New York), among others. 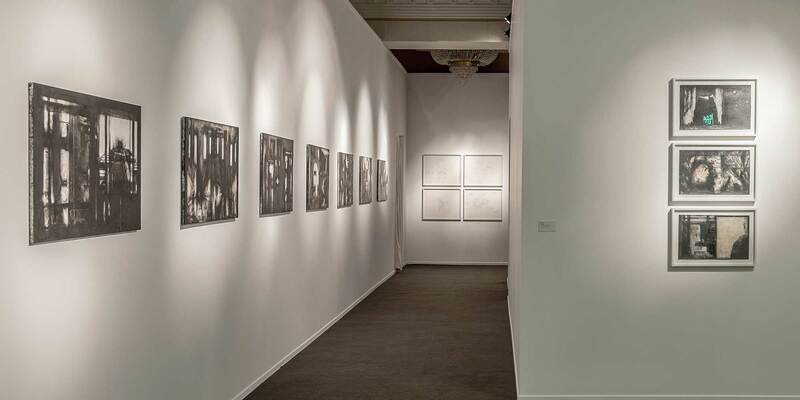 Recent solo shows were held at Ab/Anbar Gallery (Tehran), Galeria Marta Cervera (Madrid), Galerie Xippas (Paris), and the Isfahan Museum of Contemporary Art (Isfahan, Iran). Raissnia’s projection-performances, often undertaken in collaboration with Aki Onda and Panagiotis Mavridis, have been held at Arnolfini – Center for Contemporary Arts (Bristol, UK), the Drawing Center (New York), Issue Project Room (New York), and Emily Harvey Foundation (New York), among others. 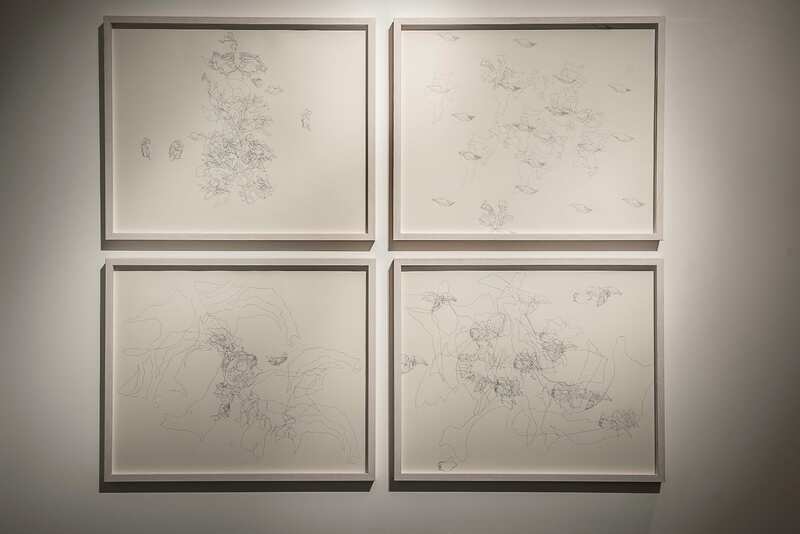 Raissnia’s fifth one-person exhibition at Miguel Abreu Gallery took place in November 2015. Omar Berrada is a writer, translator and curator, and the director of Dar al-Ma’mûn, a library and artists residency in Marrakech. Previously, he curated public programs at the Centre Pompidou, hosted shows on French national radio, convened the Tangier International Book Salon, and co-directed Dubai’s Global Art Forum. He is editor, with Erik Bullot, of Expanded Translation – A Treason Treatise, a book of verbal and visual betrayals; and, with Yto Barrada, of Album – Cinémathèque de Tanger, a multilingual volume about film in Tangier and Tangier on film. His translations include books by Jalal Toufic, Stanley Cavell and Joan Retallack. In 2016 he edited The Africans, a book on migration and racial politics in Morocco, and curated several exhibitions including ‘Memory Games’, a group show as part of the Marrakech biennale; ‘Black Hands’, a solo show of M’barek Bouhchichi’s work at Kulte Gallery in Rabat; and ‘I want to possess in this world that which brings joy to the eyes’, a presentation of Ahmed Bouanani’s films and archive at Witte de With in Rotterdam. He currently lives in New York and is a visiting scholar at NYU. 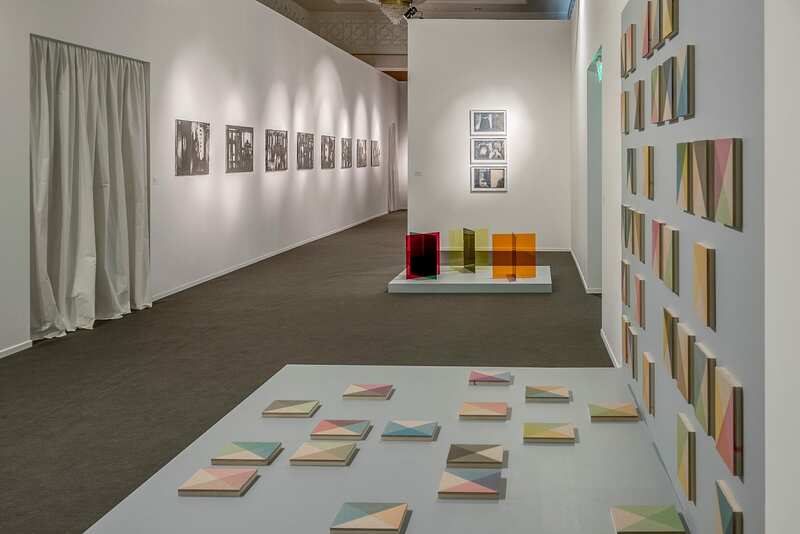 Founded in 2008, The Abraaj Group Art Prize recognises particularly notable artists from the Middle East, North Africa and South Asia, each year – following an intensive jury process — selecting a winning artist plus three shortlisted artists, whose work is showcased in a thematic group exhibition at Art Dubai each March. The prize is unique in its format, awarding the mid-career, winning artist a major commission based on a proposal (rather than a completed work), plus affording all four exhibited artists the opportunity to gain recognition at an international level.